These candle holders are awesome!! Look great by the fireplace!! Look just like real wood. Great price and received them quickly. Don’t hesitate to buy. 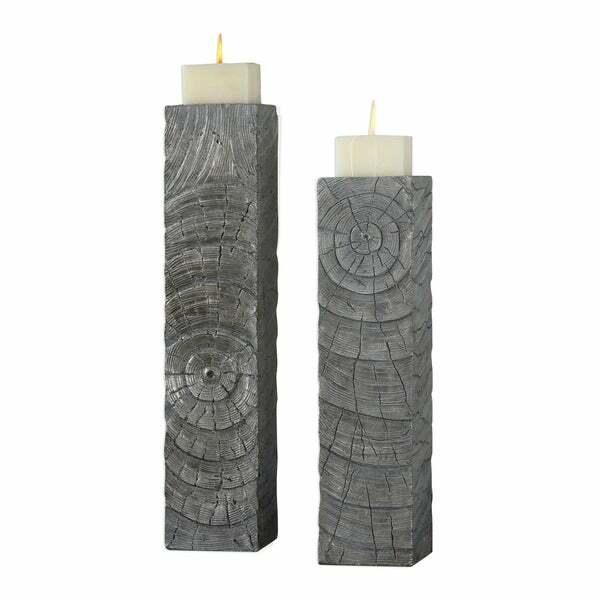 Metallic silver with a heavy, light grey glaze gives a pop of refinement to these faux old wooden logs. Two, 4 inches x 3 inches distressed off-white square candles complete the look. Dimensions 6.0 In. X 6.0 In. X 26.0 In.